The SEO rules imposed in 2017 is almost similar to 2018 with minor tweaks. Though, the rules change, but the basics remain the same. The game has to be played the digital marketers with the same rule. There are absolutely no shortcuts. If you want to put your site on the first page of SERP results, then you need to accelerate SEO game at a high speed in 2018. 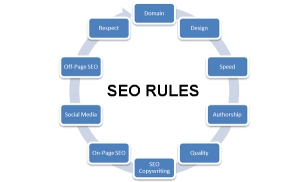 It is time-taking process for learn SEO. With innumerable rules for Google algorithms, it is hard to remember every rule. To stay ahead of the competitive curve in 2018, you need to put efforts and time to know about the latest rules and tweak the site as per the rules to avoid site ranking from falling down. To learn about the rules of SEO, you should know the story behind it. You have started a new business and walked into the bank to explain the business model to the banker. In fact, the business plan is even more impressive. You tell him that you are selling the best widget in the market that would woo the target customers of the industry. This sounds good to the banker. Immediately, you ask the banker to approve the loan of million dollars to expand and take this business forward. This would put the banker into a shock mode. After a few seconds, the person would ask you to provide the financial statements of last three years. As you are going to start the business, there would be no financials. You answer the same to the banker that without a business how you can provide financial statements. We are starting this right now and this product would be new to the market. Again, when you ask the banker whether you do not want to be part of this successful business, again you see a confusion and question mark on the banker’s face. This person would definitely stand up, give a shake hand and show you the door. What is the moral of the story? 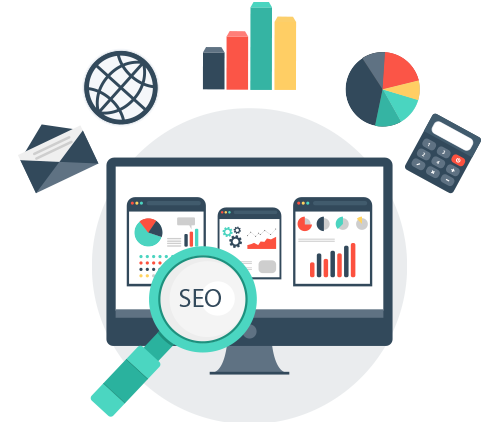 It is simple that you cannot achieve the desired results as soon as you start SEO in 2018. For instance, if a person who has recently designed a new website and the site has gone live targeted for the high competitive keyword and after six months, the webmaster would turn to paid ads due to poor traffic. Undeniably, paid ads are the effective and quick way to gain traffic. It is crucial for a company to build sales funnel and then post ads on social media to promote the brand, improve traffic and make money. In addition, businesses can also post their ads on YouTube to earn money. The customers would click on your video to see what you are selling. However, there are umpteen metrics involved in implementing this strategy. People need to spend a lot of money to adopt all these online marketing strategies. If the same thing is offered to the people for free, you can save big on the marketing budget. You need to test various SEO strategies and then invest on paid ads. This is one of the best rules that one has to embrace in 2018. There are many rules that are dominating the organic Google search results and those rules will be learnt in the coming sections. Prior to taking a plunge to understand in detail about SEO, you need to know the pillars of SEO. If you go back in the time machine, you would learn about the-then Google algorithm called Page Rank, which has become obsolete now. This Page Rank is the algorithm on which Google search engine was developed. This has connected one link to another like a spider web. This has discovered the complete internet by moving around like a spider. The more number of links connected to a single page, then the more relevance was given to the page. The pages that have higher number of links are considered to be more relevant and are given higher rank on SERP results. Now things have changed totally. Today, the website is not ranked based on the number of links it has or number of times the keyword is stuffed on the page. Prior to getting into technical details, you need to learn about the three pillars on which SEO was built. These are considered to be the basic principles. Though the rules of SEO get changed, but the pillars remain the same. This means the number of quality links connected to the site over a period of time. The higher the authority of a site, the higher number of link juice it passes. There are different tools available to assess the authority power. There include MozBar, SEMRush, etc. Domain Authority and Domain Score are the two ways embraced to gauge the power of a domain. The score will not remain the same, since any tweaks in SEO will take at least a few weeks or months time to see evident results. Content, especially relevant and quality content is the major ranking factor that is taken into consideration by search engines in 2018. The significance of content is increasing year by year. There were days when webmasters used to publish poor quality content and use spinning tools to generate content. Today, the exceptional and relevant content is given high priority. The content that is not relevant will have high bounce rates. The content that is rich engages the visitor on the site for a long time. Increase in engagement factor will increase the number of users sharing the content and there by improves the site ranking. You need to hire the best SEO writer to get quality content that will pay you down the line. The last pillar of SEO is indexed age of a website. However, this age does not have much impact on the ranking of site. However, you need to post regular content on the site and create quality backlinks to the content to let the site get indexed by the search engine regularly. The search engine that is indexed on a regular basis will improve the site ranking. This indexing is done by Google when it sniffs fresh content on the site. The indexed age is the date on which Google crawled the content on your website or blog. 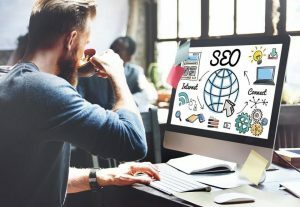 If you want to stay a step ahead of your competitors by ruling SEO in the next year, then there are 15 rules that need to follow. If you want to dominate search engine results page, you need to follow these rules at any cost. By using CDN (Content-deliver networks), especially Amazon’s Cloudfront let you to showcase the content to all the people across the globe. The CDNs will share the content across multiple servers and serve the content from the nearest server to the website visitors. You can also move DNS to CloudFlare or use something of similar configuration to help with DNS propagation times. However, DNS propagation will take time to serve the content, since this check for the domain registrar of the site and where server location and from where the DNS request is being received. In order to develop informative content that is worth reading in every article or blog post you submit. Do not cut corners to create content. Google will track the quality of your content. If the content of your site is getting better over time, then your ranking will also boost. Do not play black hat tricks. You need to think out of the box to come up with informative and unique content. You need to stay on par with the trends in your industry to post new content on your blog or website. The unique and information content will reap you rewards in the form of qualified traffic and sales. In addition, good content engage the audience on your site for a long time and let them share the information with their friends. You need to give prime importance to the below elements while creating content. • Develop content for humans not robots. The content should be natural and in conversational style. Number of users searching for a product or service is increasing through mobile over desktops. You need to make the site mobile friendly to let the users find you on their mobiles easily. As per the Search Engine land, it was found that the mobile searches have increased to over 60% in 2016. Make sure that your website is mobile friendly and can be opened on all internet connected devices. You need to implement a CSS library or build a platform on your own. Create an incredible user experience by making your site easy to navigate for all the users. Your site should let users to find the information that they are looking for with ease and without much hassle. Few of the tips to improve user experience include. Engaging the visitors on the site is important for every site owner to reduce bounce rates and improve relevancy. The site that is providing relevant content for the search terms of the user will rank better. Google calculate the time spend by every user on the site. The site that has interesting and engaging content will glue them on the site for a longer period. You need to use interesting words and content. In addition to content, you also need to use videos, podcasts, audios and infographics to make your content pleasing to eyes and easy to assimilate. The content that is engaging boosts the page and session times. LSI known as Latent Semantic Indexing is the key technology that is used by Google in Hummingbird search. This search will gather all the keywords relevant to the topic and give ranking to them. 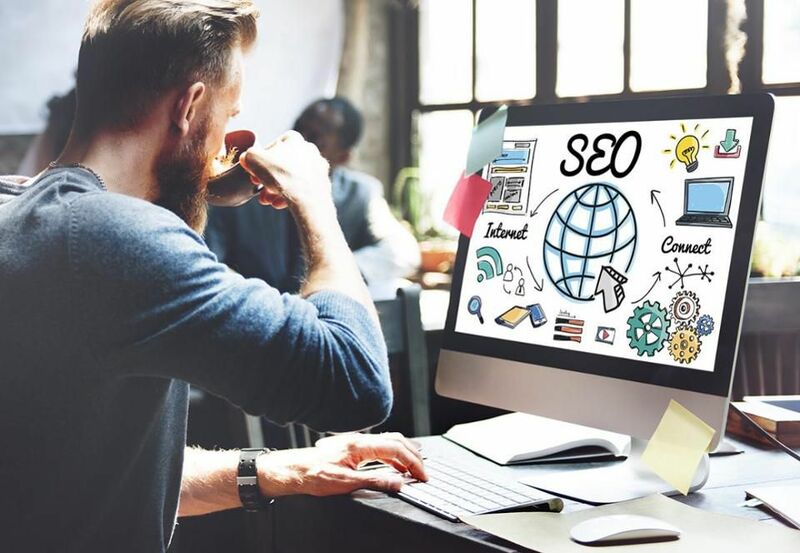 The main motto of LSI is to provide relevant content to the user for their search terms rather than just providing the content for the entered keyword. LSI is the way of telling the same thing in a different way. For instance, how to make money online can be rephrased in different ways like generating cash on the internet o making money through the web, etc. Google will pull out articles that are relevant and surrounding the search term instead of just pulling the article based on the search term. This helps the user find relevant content for the search. This helps the websites to create content by adding industry terminology and synonyms without stuffing the same keyword in the article. It is important to add outbound links. Do not confine the content by adding no follow or do follow. All you need to do is to add links in the content to let user directed to the different sites that are providing more information on your topic. Ensure to add two to three relevant outbound links in the content you develop. Add quality links rather than adding poor quality links in the content. When you are building links for the content, you should not stuff too many links to the poor quality sites. You need to link the content only to the quality domains to make your links look natural and organic. You should use white hat techniques not black hat techniques. You need to post the content only on the reliable domains. You need to publish the content on authority sites to gain qualified leads. Irrespective of the content you develop, but publishing place of the content matters a lot in the SEO 2018. You need to create content and post on reliable sites like LinkedIn, Quora, etc. These sites have qualified traffic that drives to your site to know more about your products and services. You need to add links to your site in quora underneath a piece of content. You must be very careful while posting ads above the fold. Ensure not to post too many ads above the fold. No webmaster wants to cram the page with unwanted ads that do not convey about their business. This reduces the user experience and takes a toll on your site ranking. In addition, too many ads posted on the site to too many different links will slump the site speed. So, make sure to post only limited ads. One of the most reputed names in the world of online marketing is Roland Fraiser who says to build ungated super guides. These are smaller pieces of content that are also called as Massive value posts which has the ability to engage the audience and get more shapes. This takes your domain to the next level. You have to avoid practicing black hat techniques and embrace the techniques that add value to your business. Do not use cloak content and direct users to some other site that is irrelevant. If you want to stay ahead of the SEO game in 2018 or the coming years, you should avoid using these tactics. You will not only lose the trust of search engine, but also the users who land on your site in search of relevant information. Social media will drive a sea of traffic to the site by posting informative and compelling content on your official social media account on a timely basis. You need to create a piece of content that is not only business centric, but also adds value on social media. This should be entertaining and at the same time informative. There are many influence in every domain. You can take the help of these people to bring value to your content. No matter whether it is Facebook or Instagram, there are many influence available to make your content stand out. This piece of content shared by influence will reach wider audience base globally. The word of mouth spread by these people will improve trust about your business in audience mind.